We are starting the third week of BM#60, with Kids delight themed on Baked Snacks. As always I had many dishes to strike off, however I ended up making a simple dish as a quick snack of my kids. In the end, I realized more than all those elaborate snacks, the quick ones have always been the ones that were super duper hit. Today’s snack is quite the same as regular version, except I add the toppings to the sauce itself and then add onion garlic powder, that took this to next level. If you don’t have onion garlic powder, you can use the ready made seasoning you get in ready to make pasta packets. Suate oil in a non stick pan, add onions and crused garlic. Saute till the onions turn colour. Now add the corn, and capsicum and cook till done. Add the pepper, salt and tomato puree. Add the chili powder and cook till tomato gets cooked. Takes about 5 -7 mins. Add the seasonings and simmer for 5 mins. Butter both sides of the bread, On the top spread the pizza sauce and top it with cheese. Finally top with Onion garlic powder and italian seasoning. Pre heat oven at 185 C and bake for 5 to 7 mins. 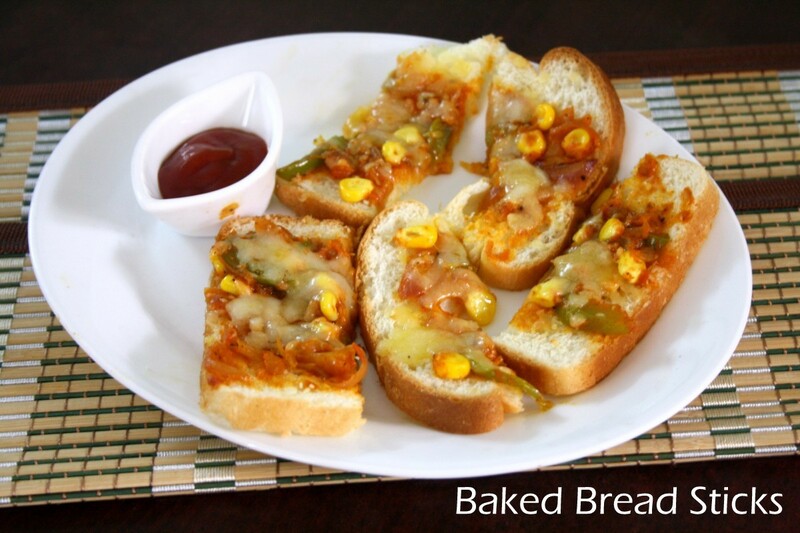 That is such an easy to make pizza bread sticks. Looks yummy!!! 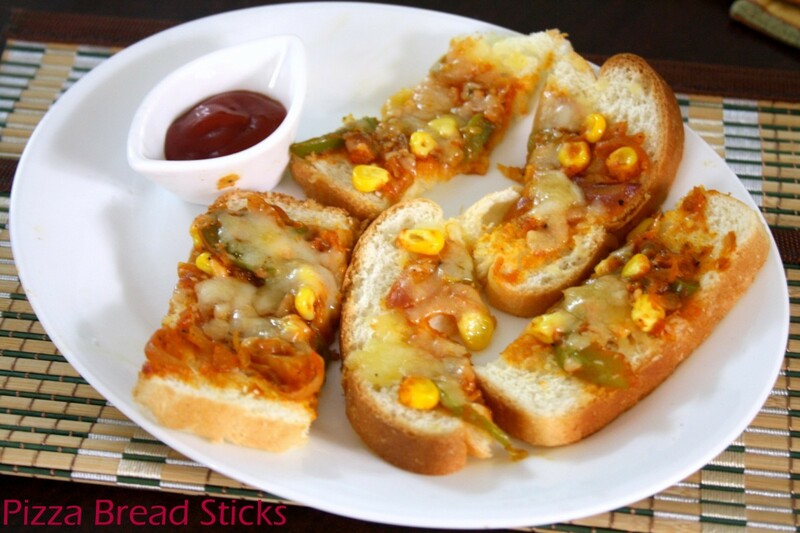 Yummy looking bread pizza sticks,simple and easy to make. These are kid friendly and yummy. Bread pizza sticks looks yummy. Kids will go crazy if they saw this delicious bread sticks.. This easy breezy bread pizza stick looks so inviting. My daughter would love this for sure..